Alex-Li Tandem sells autographs. He hunts for them, collects them, sells them, occasionally fakes them - all to give the people a little piece of Fame. But what does Alex want? Only the return of his father, the re-instatement of some kind of benevolent God figure, the end of religion, something for his headache, three different girls, infinite grace, and the rare autograph of a Forties movie actress. With fries. 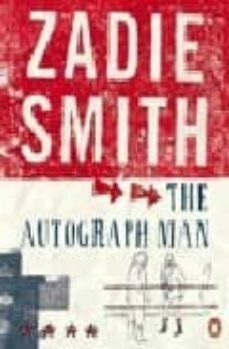 The Autograph Man is a deeply funny, existential tour around the hollow things of modernity - celebrity, cinema and the ugly triumph of symbol over experience.